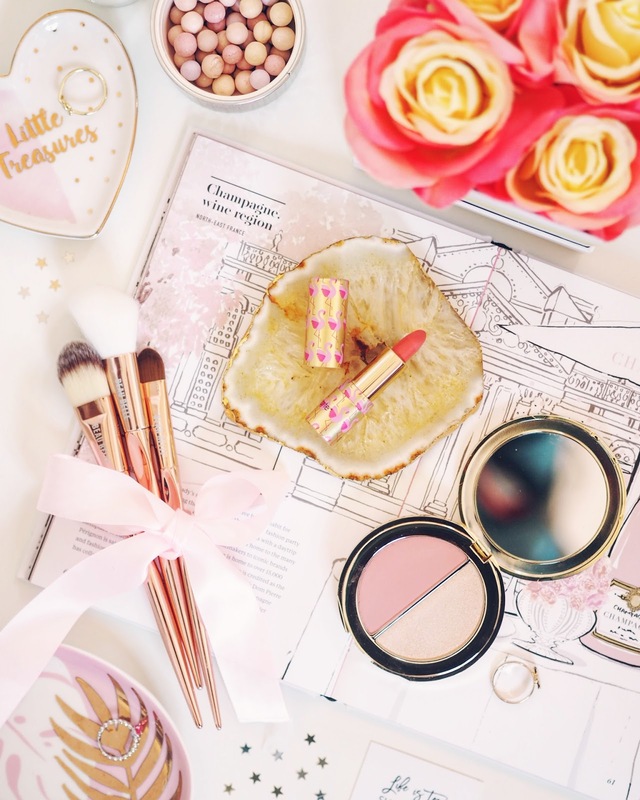 First up, I picked up this gorgeous gift set which includes two different products, A 'Peachy glow' blush and highlight compact and one of their Glide & Go Buttery Lipsticks in the shade 'Pink Flamingo'! 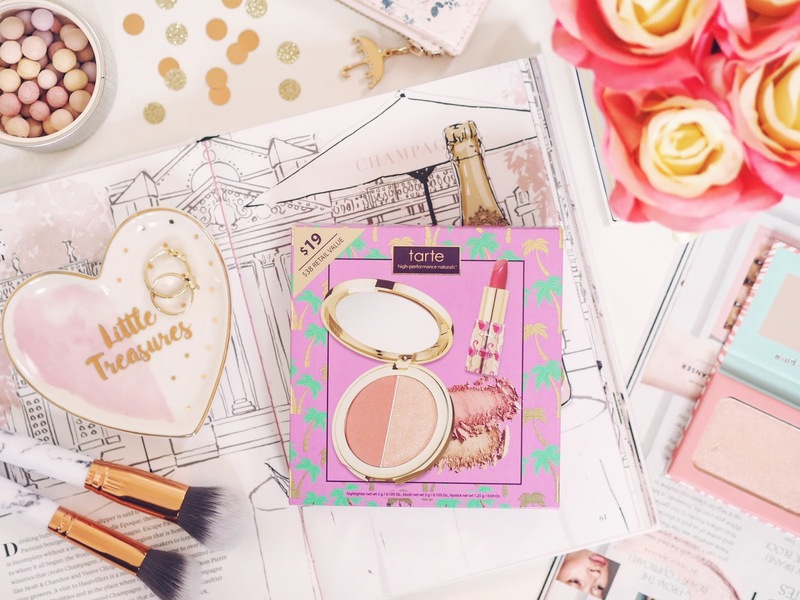 They both come wrapped up in a gorgeous tropical themed box, that is getting me very excited for summer, with the cute gold and green palm tree designs, Tarte always nail their packaging spot on don't they? 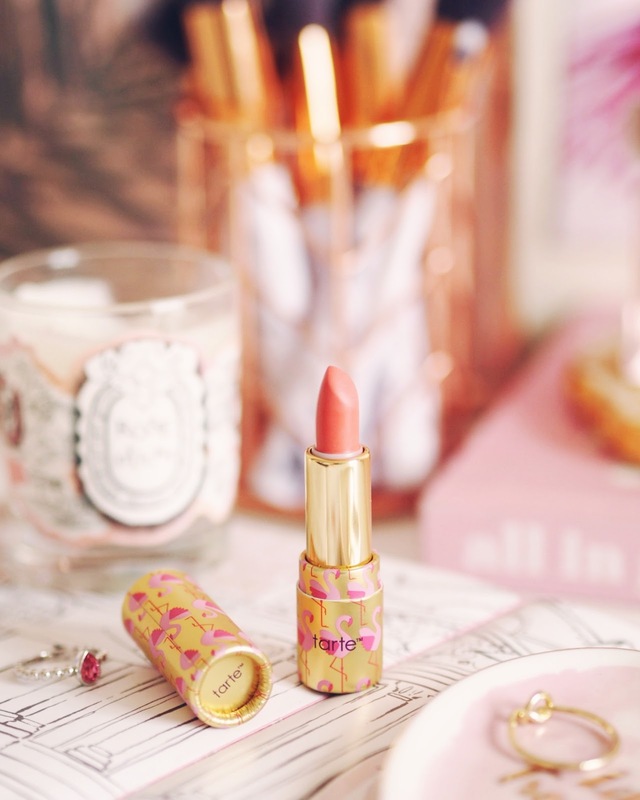 The designs on the products are just as pretty too, I especially love the lipstick with the cute gold and pink flamingo design! I thought these two would be perfect for the summer and spring months, when I'm more into those 'no makeup' makeup looks, as these are definitely more on the subtle side! 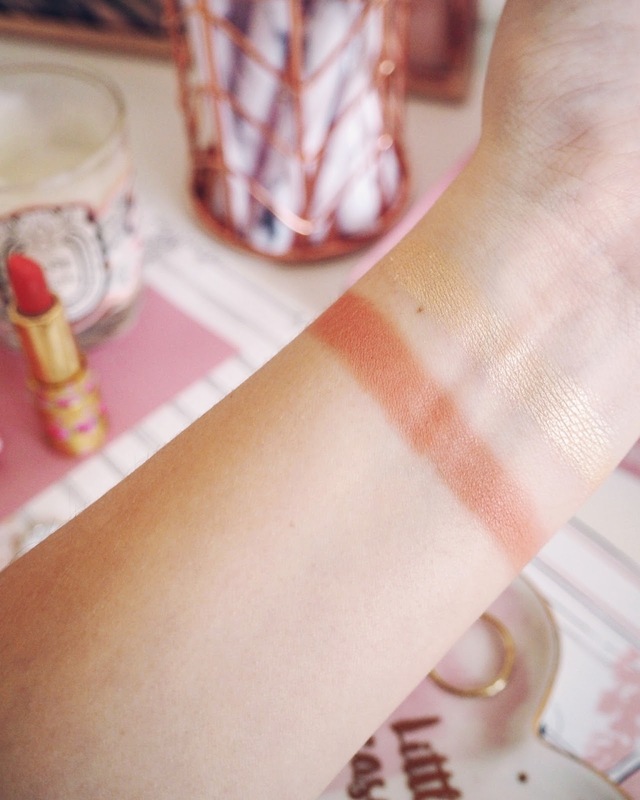 I haven't had chance to try out the lipstick properly yet but I am loving the compact, particularly the highlight which is a gorgeous pale golden colour that blends into my skin perfectly. It's subtle, but SO pretty! So I can definitely see myself getting so much use out of this over the upcoming months, and the blush and lipstick too! 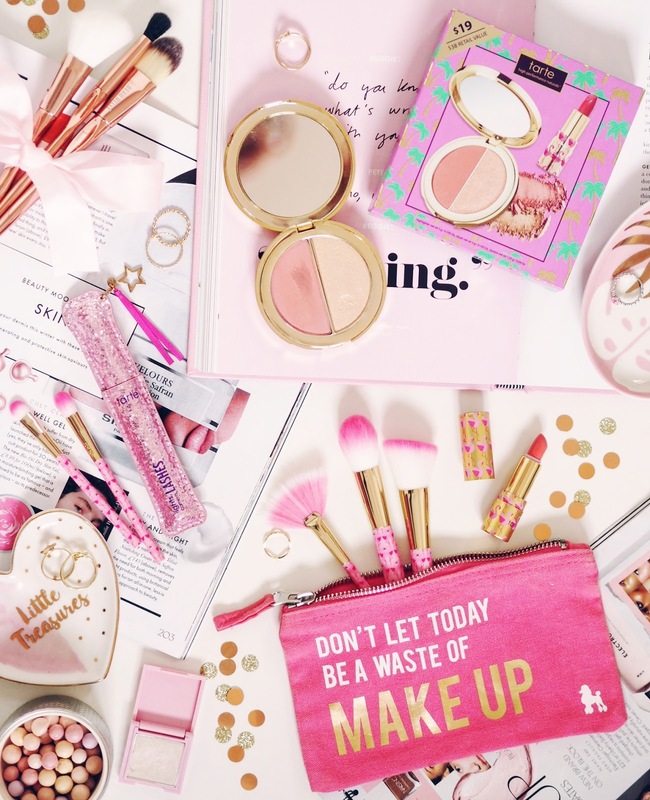 I think this set would make a gorgeous gift for anyone who's just getting into makeup, with the subtle shades as they are perfect for every day wear and so easy to apply! Next up is something I've had my eye on for months now, their Lights, Camera, Lashes mascara! Before we get onto the product lets talk about the packaging because this mascara is stunning. 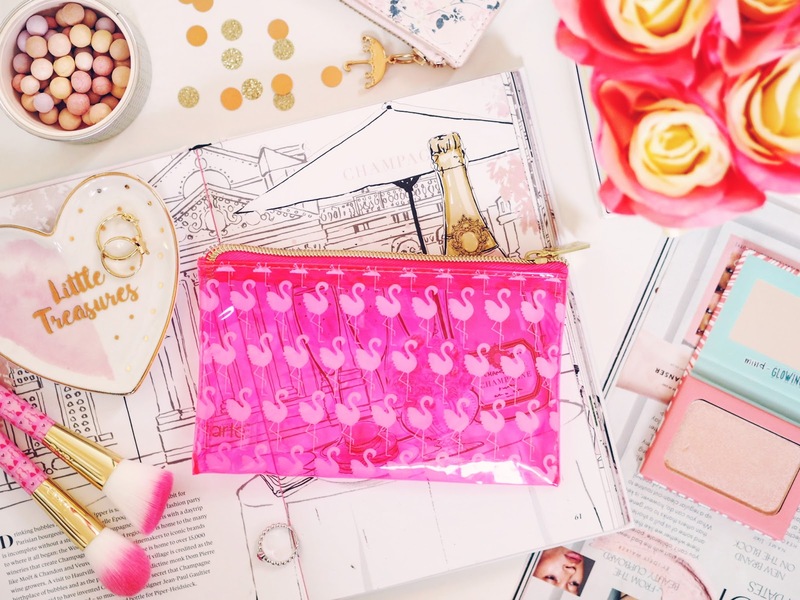 It's definitely the prettiest looking mascara I've seen to date, perfect for any fellow pink lovers with the gorgeous glittery pink design, I just love it! Besides the pretty packaging, this mascara sadly is just abit 'meh', it's not bad and it does add some volume to the lashes but not as much as I would like for the price and I find if I apply more than one coat it does go pretty clumpy. It's just not the best mascara I've ever tried and I much prefer their Tarteiest mascara ( amazinggg! ), there's also definitely better drugstore mascaras available too like the Maybelline Lash sensational and also even some of the ones from Essence too. So, I would definitely give this one a miss and go for their other mascaras as they do have some amazing ones! Lastly I picked up this Flamingo brush set which includes 5 makeup brushes and also a very cute flamingo themed makeup bag too! I couldn't resist this when I saw it, as I am absolutely pink obsessed and always seem to love the quality of Tartes makeup brushes. 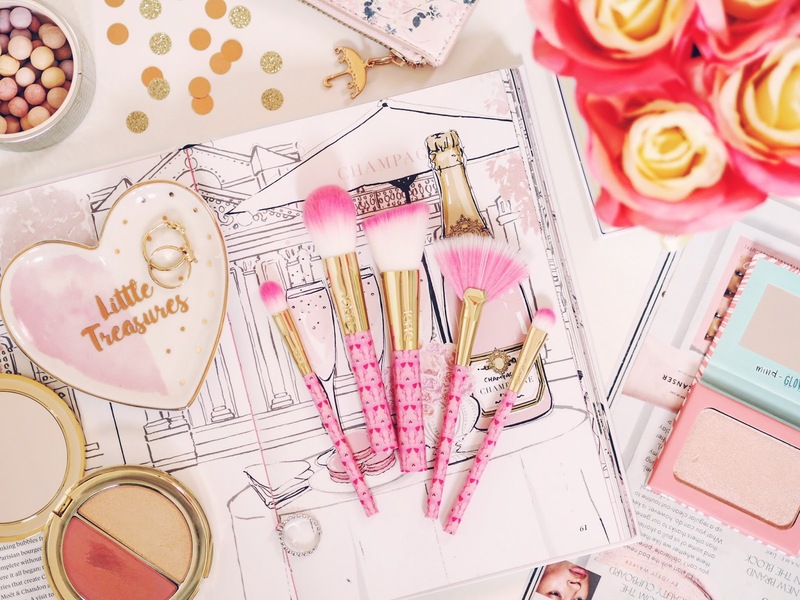 They are definitely the prettiest makeup brushes I now own, I adore the little flamingo designs and the pink and white ombre brush hairs, very pretty indeed and so me! It was also in the sale too, so it was definitely fate, right? The set includes a mixture of both eye and face brushes, perfect for everyday and also for on the go and travelling too with the smaller sizes. I will definitely be taking all of these away with me on any holidays and trips this year! 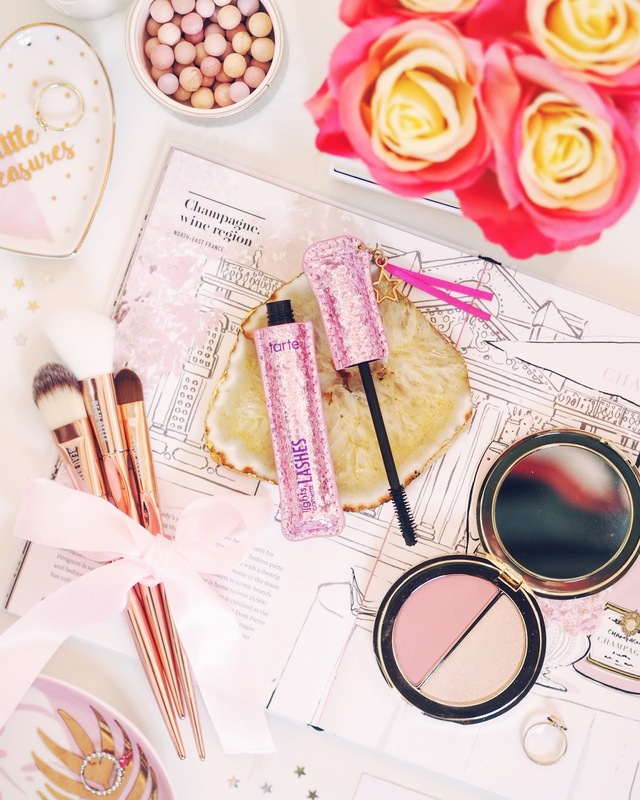 I especially love the fan brush, which I've been using to apply my highlighter constantly since it has arrived, it's so soft and packs on the product really nicely! The brush shape makes it so easy to build up the intensity too. A gorgeous little set, that I'm so excited to keep using, I'll probably do a full review of this set on my blog soon too so stay tuned for that! ..and that's it! 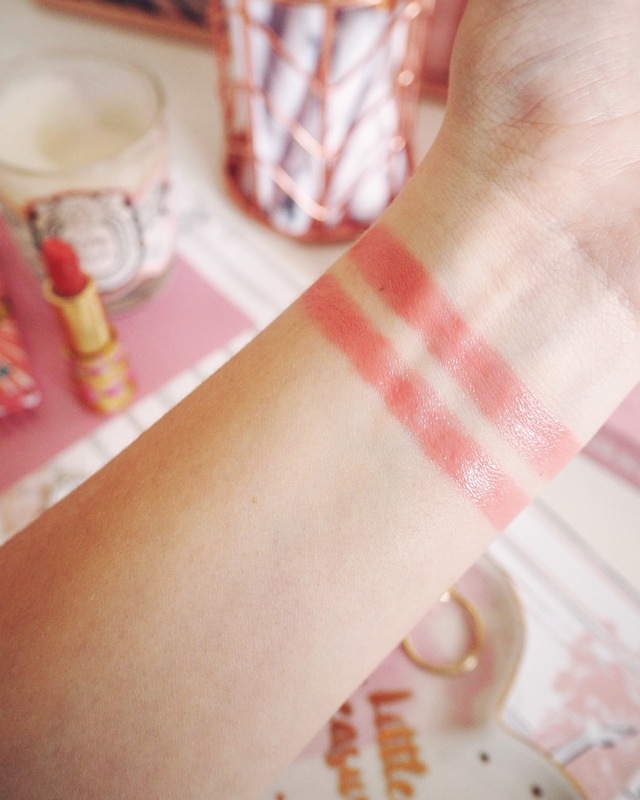 I hope you enjoyed seeing what I picked up and some of my first impressions on the products too! Overall, I'm so happy with everything I chose besides the mascara which was definitely a bit of a disappointment for a high end mascara but I'm very excited to keep on using everything else, especially the compact and glossy lipstick throughout the Spring and Summer months! 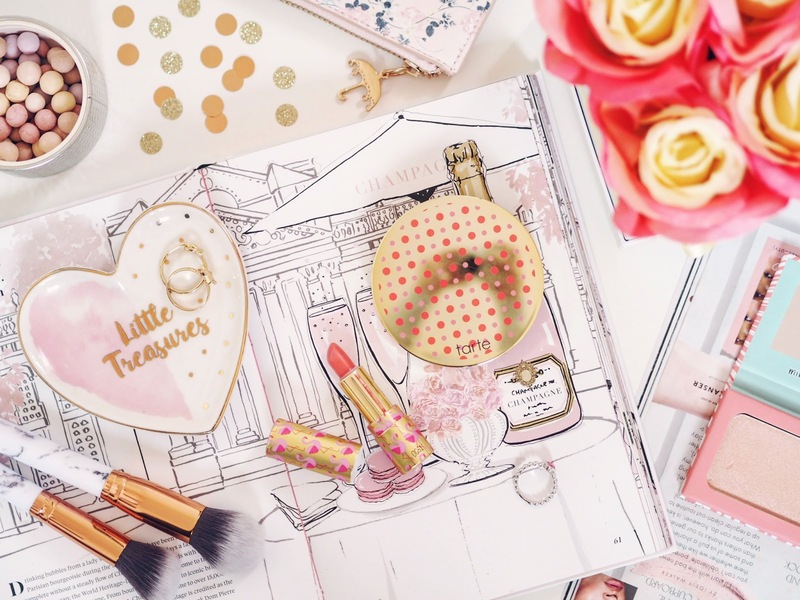 Let me know in the comments if you have any Tarte favourites?